Kurtz Law has won millions of dollars for injury recovery for clients. Attorney Elizabeth Kurtz is distinguished for her expertise in brain injury, personal injury, and employment matters. She represents the injured and their families in brain injury and personal injury cases; and employees in employment matters. 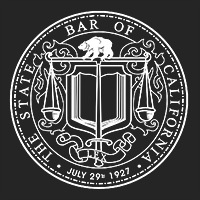 Ms. Kurtz has been designated a top-tier attorney in each of the last three years by California Lawyer. While representing corporate interests over more than a decade Ms. Kurtz gained an authoritative perspective on savvy plaintiff negotiation, settlement and litigation. She cultivated a philosophy of advocacy and conscientious and ethical attention to her client’s best interests and their long-term needs. This ethic guides each and every case Ms. Kurtz represents. Millions in settlements for clients because your recovery means everything to you. Kurtz Law works with a select number of clients on a contingency basis. This means you receive the utmost individual attention. 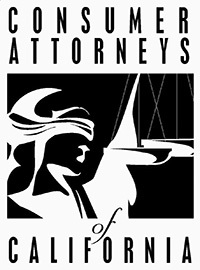 We invest in our clients and are your partners in winning a settlement for your recovery and your life. Our singular goal is receiving the fairest compensation for you that encompasses all the consequences of your injury or employment case. Winning recovery requires strategy, an understanding of the opposing view, and at times, subtlety. We outperform on strategy. Kurtz Law does more than represent clients. We serve them with fairness, honor, and truthfulness; always keeping their goals and best interests front and center. Kurtz Law earns praise, trust and respect from our clients. Using our expertise and finesse, we have won millions in settlements for them. My experience with you has been very pleasant. I felt that you truly believed in my case and cared about what I was going through. You added a great deal of value with your expertise, overwhelming knowledge and being fierce when needed. You made this process easier for me with your friendly personality. You took care of everything regarding the other party. I felt that I was in great hands with you. I highly recommend Kurtz Law. Elizabeth represented my family and I in a situation involving our small family business. She quickly grasped the complicated issues and showed patience in preparing us for depositions with firm tenacity, while at the same time protecting our interests. Throughout her representation of our family she displayed a high level of business and legal knowledge and professionalism, and was able to guide us through a confusing and challenging process. I have and will continue to refer Elizabeth to anyone needing legal support. Elizabeth Kurtz made us feel very comfortable and kept us informed about the case every step of the way. Her level-headed and calm approach to the situation made the process much smoother than I could have imagined.